This week on a super-sized edition of the best geek culture web radio show on the planet we answer a question from a longtime listener who is about to make the dramatic leap from a Windows PC to a shiny new Mac. J.D. and El Kaiser offer suggestions on how to make the transition painless. In the news, Apple edges closer to official i-branded wearable tech; a forensic scientist and hacker claims there are a slew of attack points, system backdoors and surveillance mechanisms purposely built into iOS devices; The Electronic Frontier Foundation has developed its own browser plug-in that prevents third party online snoops; Facebook tests new “buy now” and “save for later” features; The FCC closes out the first round of public comments on its proposed new rules for Net Neutrality; Samsung gets into the luxury headphone game; and The Simpsons get the marathon treatment. So, after all these years, you’ve decided to leave the familiar Windows PC behind and switch to the Mac. Whether it be corporate migration, fear and annoyance with Windows 8/ditching Windows XP (at last), or just the need for a change, the process isn’t as drastic as it used to be. Let’s break it down: After you get the new Mac, you have three basic steps to make it feel like home. 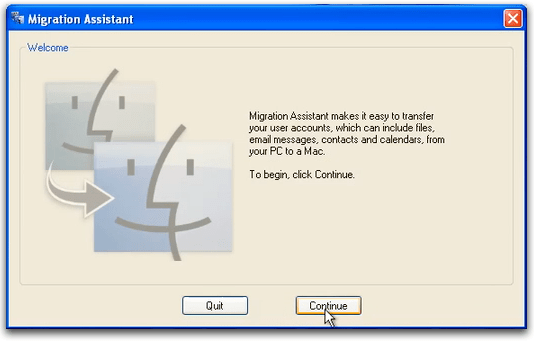 You can also use the Migration Assistant to move files and folders. Common file formats, like JPG photo files, text files and unprotected MP3 audio files work well on both platforms. The Assistant can even put your pictures into the free iPhoto program that comes with the Mac, but if you prefer other photo-editing and organizer programs like Google’s Picasa or Adobe Photoshop Elements, there are OS X versions to download or buy. Likewise, if you need Microsoft Office, you can either buy the Mac version, use Office 365 or get one of the various other programs out there that can open and edit Word, Excel and PowerPoint files. Apple’s iWork productivity suite is now free with every new Mac and can handle a lot of Office chores. Apple’s iTunes program can’t plan Windows Audio Media files, but iTunes can convert unrestricted WMA files to iTunes-friendly formats. If you were using iTunes for Windows, you can transfer all your ripped and purchased iTunes content between computers. Many apps and services are cross-platform — Dropbox, Amazon Cloud Drive and Amazon’s Kindle Reader, Mozilla Firefox, Google Chrome, Google Drive, Microsoft OneDrive and so on. You can download new versions from the sites themselves. The Mac App Store may also have useful software. Let’s face it, over the years, both Windows and OS X have gotten similar: Taskbar/Dock, Programs/Applications folder, Recycle Bin/Trash Can — navigating the desktop is not that hard to do anymore between the two systems. Mac keyboard shortcuts may differ, as well as the placement of desktop icons, but these are often minor things to relearn. 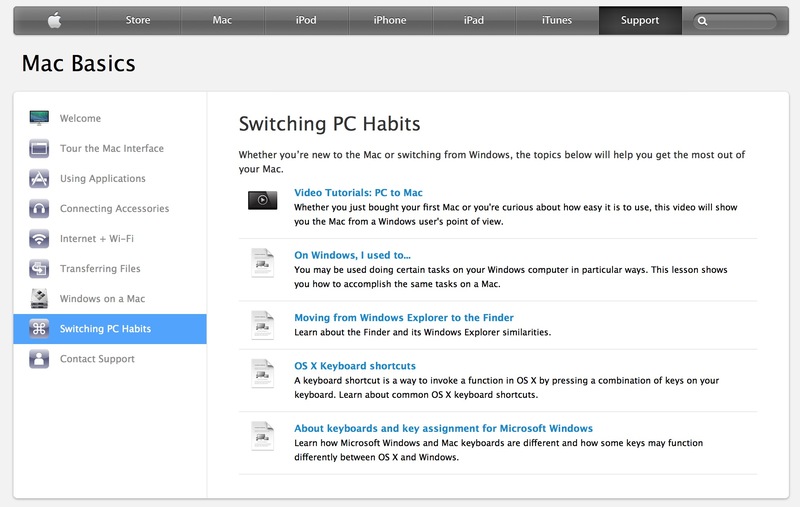 Apple’s site has tons of basic info about getting used to Mac OS X and even an “On Windows, I used to…” page. Many people around the Web have posted their personal tales of switching from PC to Mac. Resources abound online, so read up. 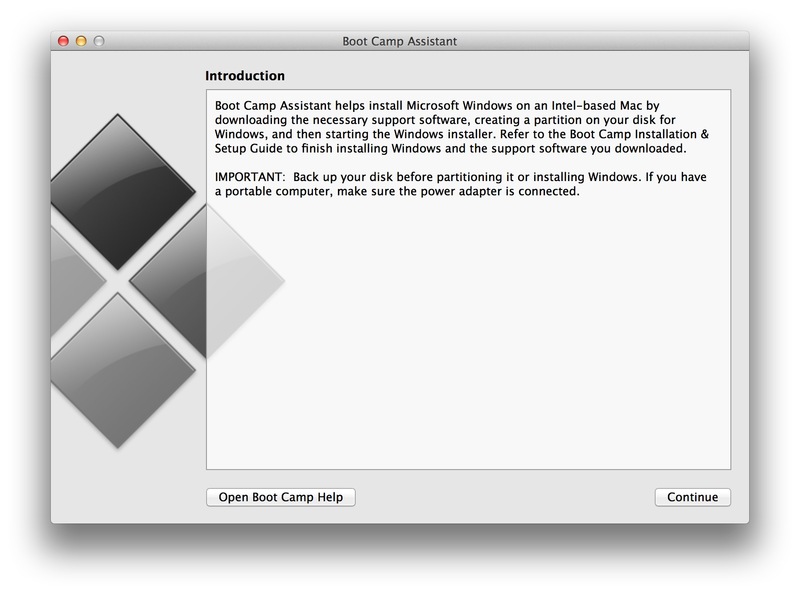 Step 3: Fine-Tuning, Workarounds and … Windows on a Mac? Once you get your stuff moved over and become somewhat used to navigating the Mac interface, you’ll probably find some things you need to tweak. You may also find you need some programs that just aren’t available for the Mac. As for the tweaking, the Mac OS comes with a ton of printer drivers already installed, but you may need to snag more obscure ones or utility software from the manufacturer’s site. Many new Macs don’t include disc drives or Ethernet jacks anymore, so if you need these, external add-ons are available. Of course, you’ll want to get a backup drive for your system, but you get free backup software with Mac OS X called Time Machine. After years of Windows, it may take a few weeks to get used to OS X — especially if you’ve never used a Mac, but go on in and get comfortable. To help you relax, check out these OS X Easter Eggs left by kindly Apple software engineers. You can play a round of Tetris, see the legendary Mrs. Field’s cookie recipe — and if you miss it from Windows — watch the ASCII version of Star Wars over a Telnet connection in the Mac’s Terminal window. Feels like home already now, doesn’t it? And if it doesn’t…well, Windows 9 is due out next year!